Thenoosiya Ratnasingam recently graduated from the University of Waterloo with a B.A. (Hons.) in Social Development Studies and Cognitive Science, and plans to pursue further education in Social Work. Thenoosiya is active in the diaspora community. 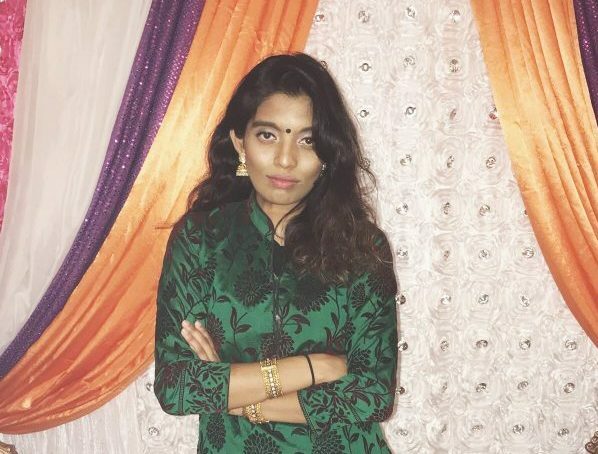 She has a particular interest in creating awareness about sexual abuse and mental health in the Canadian Tamil community and recently completed the Peer Champion Certification Program with Abuse Never Becomes Us. Thenoosiya is also an operational team volunteer with comdu.it’s Canadian team . Thenoosiya was born and raised in Canada, and visited Sri Lanka in 2002, 2014, and 2017. Thenoo will be placed in the position of Youth Facilitator (English-as-a-Second Language) in Mullaitivu for approximately one month under the Right of Return program with the Muthu Nava Ratna Trust. We asked Thenoo to share some of her thoughts on her upcoming placement. As the days pass by leading to my trip as a Youth Facilitator at Muthu Nava Ratna Trust in Mullaitivu, my excitement has grown along with my nervousness. What does it mean to me, being a diaspora changemaker going to Sri Lanka for the first time to volunteer? I was born and raised in Canada but I have already taken a few trips to Sri Lanka in 2002, 2014 and 2017. This trip seems to be different, maybe because the purpose of this trip is completely different from any other trip I’ve taken. Having a background in Social Development Studies, the importance of self-care, leadership, and resilience is very much needed to build a strong community. Sharing the knowledge and assets I have with the community has inspired me to take part in more initiatives in Sri Lanka. The people in Sri Lanka have a lot more to offer than I do, and by teaching resilience and working on their strengths the community can grow. I’m very much excited to learn, experience the history, traditions, and culture from the perspective of my own. It is going to be the most emotional and challenging journey, but I’m ready to face those challenges to bridge the gap between the communities. Stay tuned to this blog to follow Thenoo’s work in Mullaitivu this year.